The Supreme Court has held unanimously that, where a party seeks to set aside a settlement agreement on the grounds that it was induced to enter into it by its opponent’s fraudulent misrepresentations, it will not necessarily be a bar to the claim that the party did not fully believe the representations: Hayward v Zurich Insurance Company plc  UKSC 48. Overturning the Court of Appeal’s ruling on this point, the Supreme Court identified the appropriate question as whether the party was “influenced by” its opponent’s representations in entering the agreement. There is no independent requirement that the defrauded party actually believed the representations to be true. The fact that it had doubts or suspicions may be highly relevant to the court’s assessment of whether it was influenced, but it will not be determinative. In particular, in the specific context of an agreement to settle court proceedings, a party may have been influenced in the sense that it took into account the risk that the court hearing the claim would believe the representations, even if the party itself did not. Each case will however turn on its facts. The Supreme Court’s decision clarifies an uncertain area of the law regarding misrepresentation and deceit in a settlement context and will be particularly welcomed by insurers and other parties involved in proceedings where an element of fraud is suspected. An employee brought proceedings against his employers in respect of a workplace injury. The employers’ insurer conducting the defence admitted liability but disputed quantum, primarily based on the insurer’s pleaded case that the employee was exaggerating the extent of his ongoing condition (supported to some extent by video surveillance evidence). The claim settled before the quantum trial, with the terms recorded in a settlement agreement. Two years later, the insurer received from the claimant’s neighbours further evidence that the claim had been dishonestly exaggerated. This evidence indicated, in particular, that the claimant had fully recovered from his injuries over a year prior to the settlement. The insurer sought rescission of the settlement agreement (or damages for deceit in the alternative) on the basis that it had been induced to enter into the agreement by the employee’s fraudulent misrepresentations, in the form of statements as to his condition in his pleadings and witness statements. In the County Court, Judge Maloney QC (in a judgment subsequently broadly endorsed by the Supreme Court), set aside the settlement agreement on that basis. Following a review of the relevant authorities, the court concluded that it was not essential for a party to show that it subjectively believed a representation in order to establish that it relied on it in entering into a contract. Rather, the law only required a party to have been “influenced by” a representation. This requirement was satisfied here in the sense that the insurer undoubtedly took into account in its decision to settle for the amount it did the fact that the claimant’s assertions would be put before the court and the risk that they would be believed, given that it had been unable to secure adequate evidence in this regard. The Court of Appeal (see our earlier post here) overturned Judge Maloney’s ruling and held the insurer to the settlement, albeit with some regret at the employee benefitting from his dishonesty. It disagreed with the lower court’s analysis of the relevant law, holding that the authorities clearly indicated that, while a party need not have had “blind faith” in the truth of a representation in order to establish reliance, it “must have given some credit to its truth, and been induced into making the contract by a perception that it was true rather than false”. Further, in the present circumstances where the statements being relied on as misrepresentations were among the very matters alleged by the employee in the proceedings settled by the agreement, the court considered there was no reason in principle to rescind an agreement purely on the basis that a defendant could subsequently show that the allegations were unfounded. It considered that to hold otherwise would seriously undermine the finality of settlement agreements and run counter to the public policy in favour of encouraging settlement. In judgments delivered by Lords Clarke and Toulson (with which the other Justices agreed), the Supreme Court allowed the insurer’s appeal, restoring the County Court ruling that the settlement agreement should be set aside. The Supreme Court’s reasoning largely endorses the approach adopted by Judge Maloney. The Supreme Court confirmed that the correct test is whether the party was “influenced by” the statements and stressed that this will be a question of fact in each case. In a typical transactional scenario, the fact that a party did not believe statements by the counterparty might be expected to lead readily to a conclusion that it had not in fact been influenced by them in deciding to proceed with the transaction. However, the court accepted that the situation is different in the case of settlement agreements, where a defendant does not have the option of simply walking away if it does not believe the claimant’s statements. The question is not what view the party itself takes, but what view the court may take in due course. The Supreme Court expressed the view that, where there is an intention to induce by means of fraud, it is very difficult to rebut the presumption that the innocent party has in fact been induced. Lord Clarke noted that the authorities are not entirely consistent as to what is required to rebut the presumption (which is an inference of fact rather than a presumption of law) – whether what must be proved is that the misrepresentation played “no part at all”, or did not play a “determinative part”, or did not play a “real and substantial part”. It was not necessary to resolve the matter, however, as the presumption was clearly not rebutted on the facts of this case; on the judge’s findings of fact it was clear that, if the insurer had known the true position, it would not have agreed the settlement it did. It is also important to note that in this case, although the insurer had suspected exaggeration of the claim to some extent, it did not know the full extent of the fraud subsequently uncovered. In Lord Clarke’s view, the Court of Appeal had put it too highly in suggesting that the fraud now relied on had been positively pleaded in the insurer’s defence. A question therefore also arises as to what the position would have been if the full extent of the fraud had been known at the time of settlement (whether or not pleaded). The insurer appears to have conceded that, as a matter of law, where the innocent party knows that a representation is false, it cannot succeed. However, Lord Clarke, without expressing a final view, doubted this was correct as a blanket rule, given that the question of inducement will be a factual question in each case. He thought there could be circumstances in which a party might know that a representation is false but nevertheless be held to rely upon it. He referred to the judge’s example of a staged road traffic “accident”, where the innocent party might know for a fact that the claim was fraudulent but still have to take into account the risk that a court would believe the lie. In such a case, he said, the claimant “may well” establish inducement on the facts. Whereas the Court of Appeal’s decision could clearly be seen as driven by a desire to avoid undermining the finality of settlement agreements, even if it resulted in fraudsters receiving a windfall, the Supreme Court judgment represents a move back from that position. While not amounting to an unqualified approach of “fraud unravels all”, it certainly illustrates the court’s unwillingness to tolerate fraud. It might be argued that the concern about discouraging settlement by undermining the finality of agreements has less force in the context of fraudulent claims, given that the party who might theoretically be discouraged from entering a settlement (out of concern that it could be unwound) would be the party receiving the settlement – that is, the fraudster. It seems unlikely that such parties would refuse settlements on this basis and opt for the far riskier strategy of having their claims tested in court. This article was produced for the Herbert Smith Freehills Dispute Resolution Litigation Notes. Reposted here with kind permission. 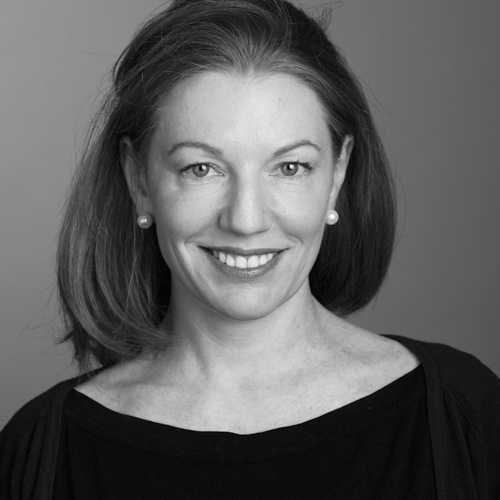 Jan O’Neill is a Professional Support Lawyer at Herbert Smith Freehills. Leave a reply on "Case Comment: Hayward v Zurich Insurance Company plc  UKSC 48"